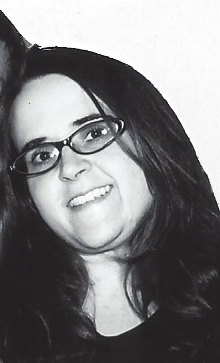 Samantha L. (Miller) Carpenter, 40, of Ridge Rd., passed away peacefully at home on Monday, March 5, 2018. Samantha was born in Greenfield on November 12, 1977 the daughter of Ronald and Carol (Miskolczi) Miller. She was a graduate of Mohawk Trail Regional High School. She had been employed by Judd Wire for a number of years before her illness made it too difficult to continue. Samantha will be remembered for her fiercely determined work ethic and willingness to be outspoken in the face of injustice. On November 2, 2002 she was married to Kevin Carpenter. They were active outdoors spending as much time as possible kayaking in the summer months and snowmobiling in the winter. In her free time Samantha was a talented craft artist and had a passion for scrapbooking and jewelry making. Samantha is survived by her husband of 14 years, Kevin of Erving, her parents Ronald and Carol Miller of Shelburne Falls, and her brother Mark of Marlborough, NH. Outside of her immediate family she is survived by countless cousins, nieces, nephews and friends. A Gathering of Family and Friends will take place Saturday, March 10 from 11:00 am to 1:00 pm at the Smith-Kelleher Funeral Home, 87 Franklin St., Greenfield. There are no other services. In lieu of flowers, memorial contributions may be made in Samantha’s name to the Mass. General Hospital, Neuro-Oncology Treatment Program for the research and treatment of brain tumors at www.massgeneral.org or the charity of one’s choice.